Okay, some do. But I can say that for two reasons. Number 1, I’m an accountant and when I started my accounting firm in 1996 I knew absolutely nothing about pricing. I got it hopelessly wrong. Number 2, this Research Report proves it. 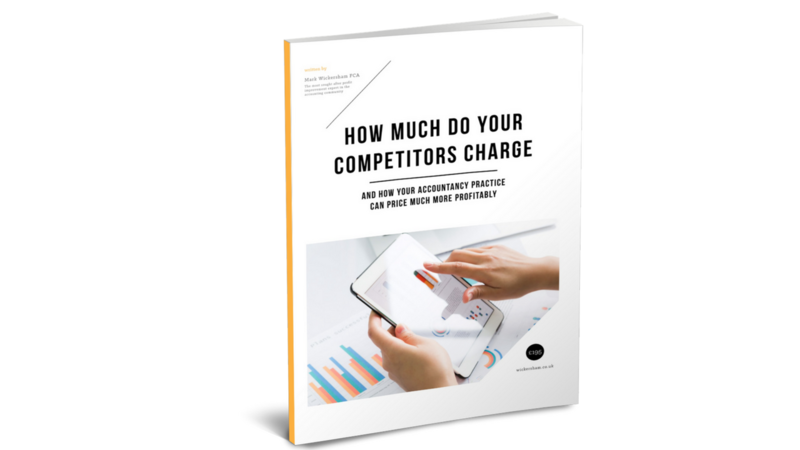 Getting the price wrong is the single biggest reason accounting firms are not earning the profits they truly deserve. Research carried out by AVN shows that over half of UK accounting firms are actually making a true economic loss. The accountancy profession is changing… FAST. Cloud accounting is completely changing the way we work. Some firms will be left behind. Whilst the most forward-thinking accountants will reap BIG REWARDS from change. In this Research Report I will explore these 3 big trends and share with you some of my thoughts for how you take advantage of these trends. I’m very excited about the opportunities facing accountants. Unfortunately many firms will not make the change and continue to do the things they’ve always done. And that’s a sad indictment of this great profession. Save 10% on the Amazon price. And get the digital copy immediately.